Several companies have experimented with making coloured gin over the last five or so years, with shades including yellow, pink, blue, green, orange and purple. Unfortunately, it sometimes seems that the focus on the colour gets in the way of having a spirit that distinguishes itself in terms of flavour, leaving the gins open to accusations of superfluous gimmickry. Given this precedent, I was intrigued to have a chance to taste and mix with a bottle of the pink-hued Pinkster Gin early on in 2014, having heard some positive reviews from friends and colleagues. Pinkster Gin is made at Thames Distillers in Clapham, London and is bottled at 37.5% ABV. The gin uses a recipe of five distilled botanicals and then, post-distillation, is infused with raspberries; this adds both flavour and colour to the spirit. Nose: Dry juniper and angelica, followed by a rich, jammy raspberry note. 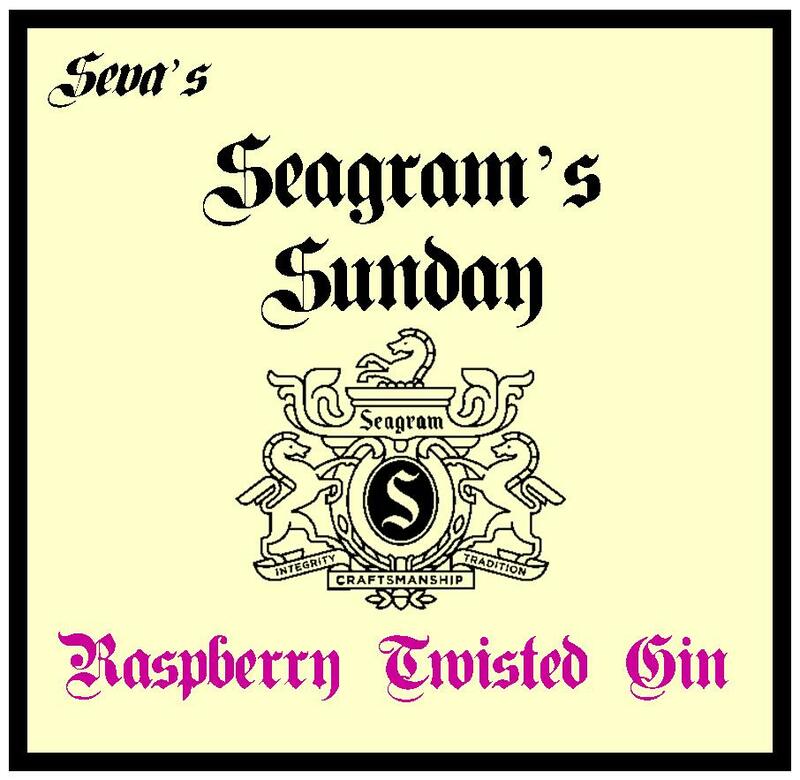 Taste: This is quite a “plump” gin, in that it seems like a pretty classic, dry gin to start with, with notes of juniper and coriander, but the character then changes as the jammy, fruity sweetness of the raspberries enter, stage right. The finish is clean and dry. An unusually sippable gin. A rather suppable, pretty classic Gin & Tonic, with the raspberries adding texture and flavour toward the end. Neither the sweetness, nor jamminess of the fruit throw the drink out of balance. I think that the suggested garnish of fresh raspberry and mint leaves has great potential. This cocktail has a notable, pale pink colour. The flavour of the raspberries is a little more subtle than in other drinks, just adding a touch of juiciness to the finish. All-in-all, this is a clean and crisp Martini with a fruity twist at the end. A soft and succulent drink, which is not a bad way for a Negroni novice to first approach the cocktail. Despite this accessibility, there are still an array of interesting flavours for the ardent Negroni fan, although the character is more subtle and less punchy than versions made using some other gins. This a good way to enjoy both the colour and the flavour of this gin, with lots of botanical notes presenting themselves, including juniper, coriander and angelica, all of which complement the berry notes and touch of leafiness in the gin. Another accessible way to drink gin neat. I expressed some concerns over some coloured gin early on in this article, but Pinkster is, amongst others, one of the exceptions. I like the balance of its flavours and the gin definitely fills a gap in the market for a fruity gin that is not overly sweet or sickly. I particularly like serving it with ice or in a Gin & Tonic. Most of our readers will be familiar with sloe gin and as, in the past few and upcoming weeks we have been/will be looking at various homemade flavoured gins, it seemed like a good time to look at a new commercial flavoured gin, Raspberry Gin. 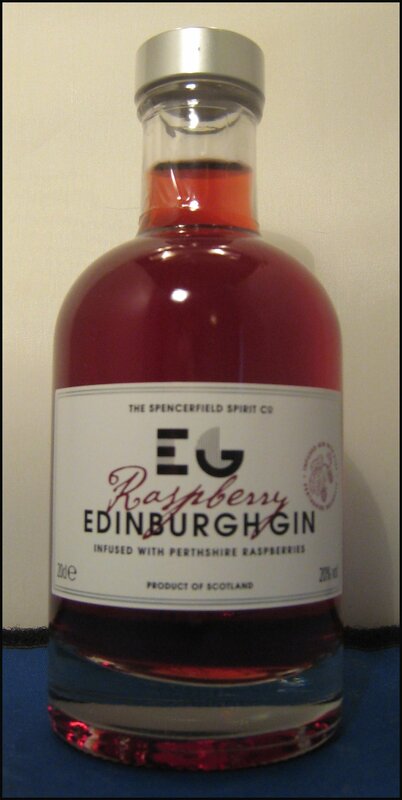 This is made by Spencerfield Spirit, the makers of Edinburgh Gin, using local Perthshire Raspberries. Whilst contemplating making a fruit liqueur for the winter, Edinburgh Gin also tried various recipes for damson and sloe gin, but finally decided on the Raspberry, because it tasted best. I think that it’s great to see some variation added to the products in the “Sloe Gin Niche” and, in my mind, some of the finest raspberries I have had are Scottish, so their choice of fruit makes perfect sense. It is bottled at 20%ABV. Nose: Intense, jammy raspberry with a hint of tartness and some creamy vanilla notes;as a result, this somewhat resembles raspberry ripple ice-cream. Taste: Exceptionally smooth upfront. There are also the sweet, spicy elements of Edinburgh Gin, followed by the fruity and slightly tart raspberry. There is some sweetness, but this is well-balanced with the tartness of the raspberry. After being kept in a breast pocket for a while, the Raspberry Gin has been gently warmed to great effect. To taste, there’s a lot of fruit with some hints of vanilla and spice. It is quite warming, but also soft and smooth, making it an especially good choice if you find straight spirits a bit much for a flask. The lower temperature brings out some of the fresher, crisper notes of the Gin, making for a more refreshing drink. Similarly, the liqueur also works well over ice. The Long Peddlar is a classic sloe gin drink and it works well with the Raspberry Gin. Itis less sweet and tarter than the sloe gin version, which, to me, makes it crisper and more refreshing. This would be a good way to enjoy this Gin in the summer, should you happen to have any left. With tonic, this Gin makes quite a tart drink. There’s a more subtle vanilla sweetness, but with more of the tart berries coming through, this is – overall – a very refreshing drink. Very pleasant, indeed. Initially, I thought it was quite tart and, although pleasant, was less comforting than a toddy usually is; however, this was quickly remedied by a little squeeze of honey. The result was a delicious toddy, with the raspberry still coming through. Very nice. This was my favourite new drink of 2011. Like a number of the previous cocktails, this is usually made using sloe gin, but I substituted Edinburgh’s Raspberry Gin to great effect. This is a superb drink: hints of raspberry jamminess contrast nicely with a touch of cream on the finish, ensuring a great balance of sweet and dry; a perfectly formed cocktail. This is a really great product and easily equal to many of the great sloe gins. I always appreciate innovation and think that this is a really great example, which has clearly been thoughtfully created to be a great taste of Scotland. For a review of the Original Edinburgh Dry Gin please click here.